Francis Cheka is Vijender Singh's most experienced opponent to date and will prove a stern test for the big-hitting Indian boxer. 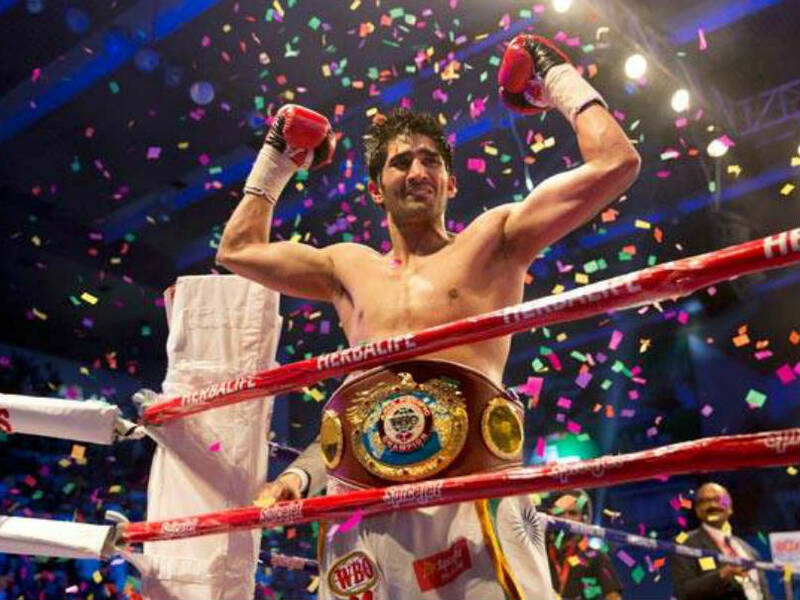 Vijender currently has a record of seven out of seven wins including 6 knockouts. Indian boxing star Vijender Singh will face the most accomplished opponent of his professional career when he defends his WBO Super Middleweight Asia Pacific title against former world and current intercontinental Champion Francis Cheka here on December 17. The 34-year-old experienced boxer from Tanzania is a veteran of 43 fights with 32 wins including 17 knocnkouts and has tested himself against top super-middleweight talent including WBA world champion Fedor Chudinov from Russia and WBC international Champion Matthew Mecklin from UK. Cheka has racked up 300 gruelling rounds under his belt in the 16 years of his career compared to Vijender Singh's 27 and has no fear fighting in India. Cheka was formerly a WBF world champion and currently he holds the Intercontinental Super Middleweight Championship title, which he won earlier this year in February against Serbian Geard Ajetovic. Vijender, on the other hand, is undefeated in his seven-fight career so far. Cheka is Vijender's most experienced opponent to date and will prove a stern test for the big-hitting Indian boxer. Vijender currently has a record of seven out of seven wins including 6 knockouts. 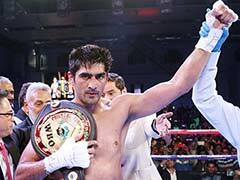 Vijender claimed his first title at the Thyagaraj Stadium in July this year against Australian Kerry Hope. 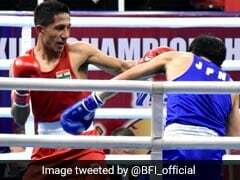 On fighting Cheka, Vijender said,"Cheka is a highly experienced boxer, he has many bouts under his belt, but none of this demotivates me. I am training harder to match up to his level and hoping for another win. "Once again my fight will be at home, just like last time the support that I got from the crowd was overwhelming and I am sure there will be more people who will come out to support me. I am confident of my win; I feel my stance is becoming better with every training session that I am undergoing. "My trainer also feels that my punches are stronger than before and he has also put me under high intensity training. I am sure of protecting my title with as much pride as I won it. I am going to leave no stone unturned to make sure my title stays with me," he added. Cheka was more aggressive with his words and promised to knock out Vijender. "I am ready to give this kid a lesson of boxing...I will come to India. 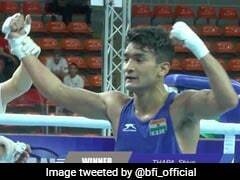 I have heard a lot about this Indian boxer and there's a lot of hype around him, I just can't wait to be the one to put him in his place," he said. "I know he trains in Manchester, UK, but it will be a great fun to beat Indian lad in his own country and take away his title. If you see my record, I have a total of 17 knockouts, I have played way more rounds than he has, I am sure I will be able to knock him out in the first round itself. "I have seen his previous fights, he has fought absolutely nobody so far and I am sure he will get rid of facing me in the ring. The day he will meet me in the ring, he won't have a reply for anything I throw at him and once I start landing my punches at him it be will game over for India's golden boy. There's no doubt in my mind that I will knockout Vijender," he added. 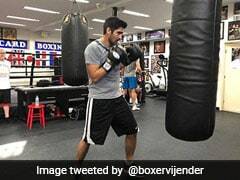 Vijender has been training in Manchester for his title defense fight next month. Lee Beard, trainer of Vijender, said, "We have been working on Vijender's strength and power in the gym and he is punching a lot harder. I can already see the benefits of the high intensity training sessions we have been putting him and everyone will see an even better Vijender on December 17th. "Of all the fighters I have trained, he is one of the best when it comes to learning; he is an extremely quick learner. He will be prepared and ready to defend his title in style." Neerav Tomar, Promoter, IOS Boxing Promotions, which manages Vijender, is excited for this next stint of his organisation. "Just like last time, this time around also I am confident of a houseful on the fight night. People came out in large numbers to support their favourite boxing sensation; the response from the media as well as the social media was overwhelming," he said.